Today Governor Keating came to read his book Will Rogers: Our American Wordsmith for Cowboy Day! Our visitors loved hearing from such an inspiring Oklahoma legend. Governor Keating stayed after and spoke with many guests and the kids loved getting to meet him. There were some awesome crafts designed by some creative kids! 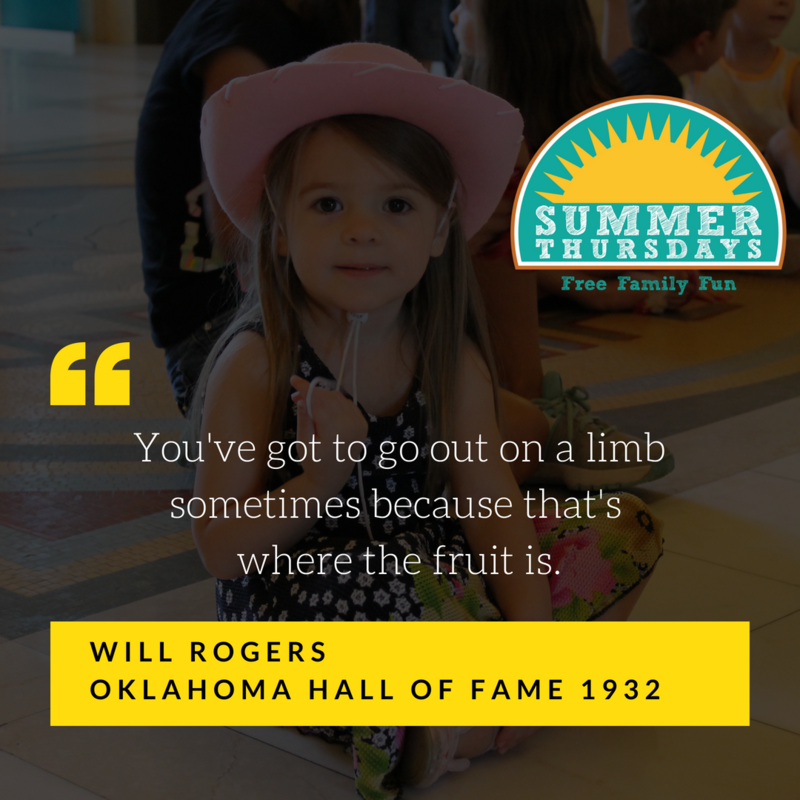 After popcorn and a movie, we loved planting our own flowers with help from OSU Farmers Market to take home!We had such a great crowd for Cowboy Day and we are thankful to both our guests and Oklahoma Hall of Fame reader! We had a Yippie Ki-Yea Day!